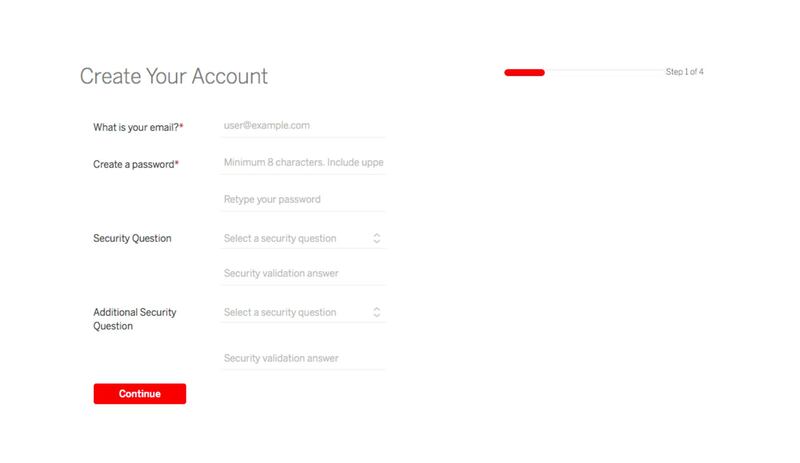 It is free and easy to create your account. Get live quotes and arrange a transfer in minutes. Please note that No Cash Deposit to our TDB Account is allowed. 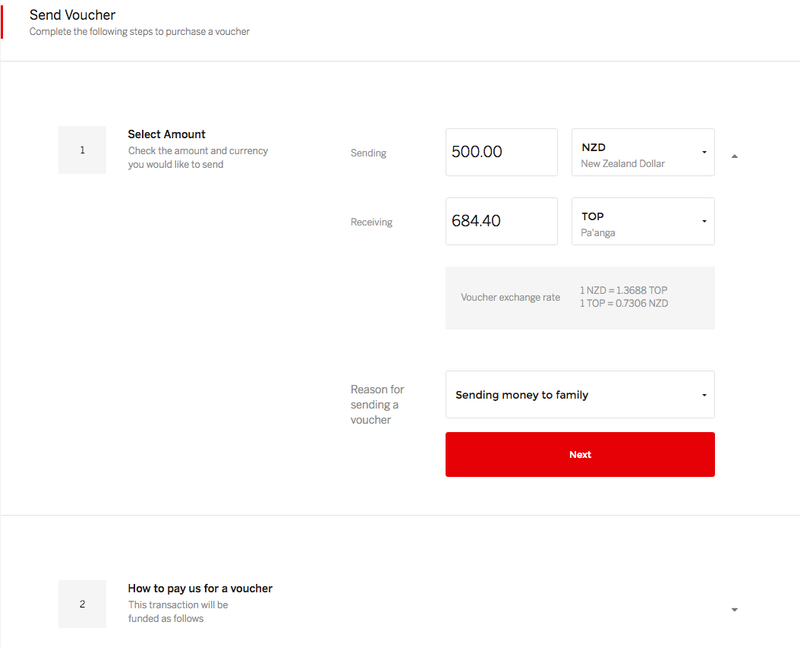 Once we have received your NZD electronic payment we will release your TOP Voucher. 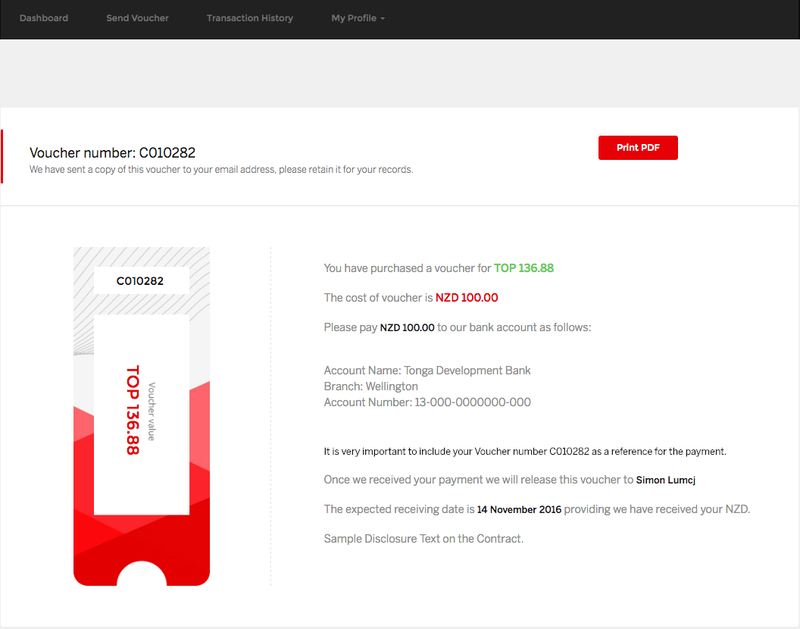 The Voucher is an electronic voucher. If it is a cash voucher your recipient will be notified by SMS or Email (or both if set) and receive a 6 digit pin number and reference number that they can present at any TDB branch to collect the cash. 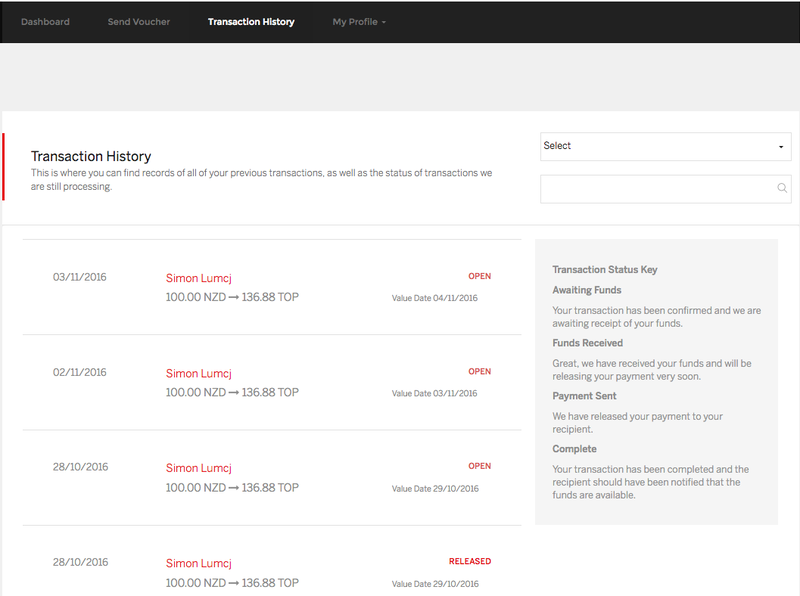 If the Voucher is a bank payment we will electronically credit the funds to the selected bank account. 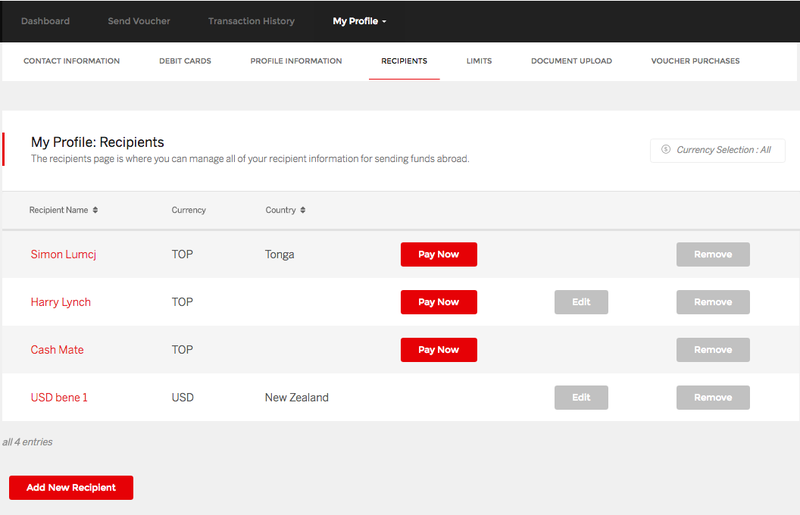 The funds can be released to your recipient from any of TDB branches in less than 30 minutes if you are sending from Kiwi Bank and from other banks will be less than an hour.